Abarbanel (also, Abravanel): Isaac Abarbanel (1437-1508). Statesman and bible commentator, his philosophy was informed by the conviction of God's revelation in history. Served as financier in Spanish court of Ferdinand and Isabella; efforts to rescind their decree expelling Jews in 1492 proved unsuccessful. Achronim: Literally, “the final ones.” A technical term used in later rabbinical literature generally to indicate authorities who are contemporaries of the person quoting them or who belong to the generation immediately preceding him. It is especially applied to the rabbinical authors following the age of the " Shulchan Aruch"—the end of the sixteenth century. Akeidat Yitzchak: A lengthy philosophical commentary on the Pentateuch, homiletic in style, by Spanish rabbi Isaac Ben Moses Arama (1420-1494). Alsheikh: Rabbi in Safed, Palestine, in the second half of the sixteenth century, and son of Ḥayyim Alshech. He was a disciple of R. Joseph Caro, author of the "Shulchan 'Aruk"; and his own disciples included the cabalist R. Ḥayyim Vidal. Although Alshech belonged to the circle of the cabalists who lived at Safed, his works very rarely betray any traces of the Cabala. He is celebrated as a teacher, preacher, and casuist. Avodah Zarah: The name of one of the treatises of the Mishnah, of the Tosefta, and of the Babylonian and the Palestinian Talmud, treating the laws regulating the conduct of the Jews toward idolatry and idolaters. Avot: Literally, “fathers.” Also called “ Pirkei Avot,” or “Chapters of the Fathers.” The name of a small but highly valuable treatise of the Mishnah containing the oldest collection of ethical maxims and aphorisms of rabbinical sages. The word "Avot" in the title of this treatise is used in the sense of chief authorities whose favorite sayings are quoted in this work. On account of the preeminently ethical character of its contents, the treatise is commonly designated as "The Ethics of the Fathers." Avot D'Rabbi Natan: The commentary to the Mishnaic treatise Avot (Ethics of the Fathers), developed in the early third century though much of the material in it was added later. Baba Batra: Talmudic tractates dealing with man's responsibilities and rights as the owner of property, of a house or field. Ben Sira: Book written in 2nd C. BCE by Yeshua ben Sira, a Jew who had been living in Jerusalem. Also known as The Wisdom of Ben Sira, Sirach or Ecclesiasticus. (not to be confused with Ecclesiastes) by some Christians. Written in Hebrew, its Greek translation is included in the Septuagint and is accepted as part of the biblical canon by Catholics and Eastern Orthodox. Although it was not accepted into the Tanakh, the Jewish biblical canon, The Wisdom of Ben Sira is quoted, though infrequently, in the Talmud, and works of rabbinic literature. The original Hebrew, long lost, was rediscovered in the Cairo Geniza. Berakhot, Berachot: Literally, “blessings.” The first treatise of the Mishnah, dealing with prayer. Dead Sea Scrolls : The Dead Sea scrolls comprise roughly 825-870 documents, including texts from the Hebrew Bible, discovered between 1947 and 1956 in eleven caves in and around the Wadi Qumran (near the ruins of the ancient settlement of Khirbet Qumran, on the northwest shore of the Dead Sea). The texts are of great religious and historical significance, as they are practically the only known surviving Biblical documents written before AD 100. Eitz Yosef: Commentary on the Ein Yaakov by early 19 th c. Rabbi Chanoch Zundel ben Yosef of Bialystok, Poland. Eitz Yosef strives to give the plain meaning of the text; a companion commentary, Anaf Yosef, is largely homiletic. Gaon: The title of “gaon,” was given to the heads of the two Babylonian academies of Sura and Pumbedita, though it did not displace the title of “rosh yeshibah”(Aramaic, “resh metibta”), which properly designated the office of head of the academy, and remained to the end the official designation for that position. There are no data whatever to show when the title “gaon” originated). Sherira, who is the source for the exact sequence of the Geonim, apparently considers “gaon” an ancient title of the head of the academy, for he says (ed. Neubauer, i. 34) that the amora Ashi was gaon at Mata Meḥasya (Sura). But Sherira himself begins to use the title consistently only toward the close of the sixth century, “at the end of the Persian rule,”" when the schools of Sura and Pumbedita resumed their parallel activity after a period of interruption. The period of the Geonim may be said to begin with the year 589, when Mar Rab Ḥanan of Isḳiya became gaon of Pumbedita. The first gaon of Sura, according to Sherira, was Mar Rab Mar, who assumed office in 609. The last gaon of Sura was Samuel b. Ḥofni, who died in 1034; the last gaon of Pumbedita was Hai, who died in 1038; hence the activity of the Geonim covers a period of nearly 450 years. Genesis (Bereishit) Rabbah : Expository Midrash to the first book of the Pentateuch, assigned by tradition to the amora Hoshaiah, commonly Osha'yah, who flourished in the third century in Palestine. The Midrash forms a haggadic commentary on the whole of Genesis, in keeping with the character of the Midrashic exegesis demanded by that age. In a continuous sequence, broken only toward the end, the Biblical text is expounded verse for verse, often word forword; only genealogic passages, and such as furnish no material for exposition (as the reiterated account of Abraham's servant in Gen. xxiv. 35-48), are omitted. Gitin : Name of a treatise of the Mishnah and of the Tosefta, elaborated in the Palestinian and in the Babylonian Gemaras. While the name of the treatise signifies "documents," it is specifically applied to bills of divorce, and of these, and of the parties thereto, the treatise discourses, referring only incidentally to other documents. haftarah : That portion of the Prophets read immediately after the reading of the Torah in the morning services on Sabbaths, feast-days, and the fast of the Ninth of Av, and in the afternoon services on fast-days. The passage chosen usually contains an explicit reference to some event described in the section previously read from the Torah. Hilchot Klei Ha-mikdash: “Laws of the Temple Vessels.” A section of the Mishneh Torah. Hilchot Melakhim: “The Laws of Kings.” A section of the Mishneh Torah. Hilkhot Bet Habechirah: “The Laws of the Chosen House,” i.e. the Temple. A section of the Mishneh Torah. Ibn Ezra, Abraham ben Meir (c.1092-1167). Scholar and writer from Toledo, his chief work is the commentary on the Pentateuch, which, like that of Rashi, has called forth a host of super-commentaries, and which has done more than any other work to establish his reputation. Isaiah (Yeshayah) D'Trani : Prominent Italian Talmudist; (1180.-@1250) He originated in Trani, an ancient settlement of Jewish scholarship, and lived probably in Venice. He carried on a correspondence with Simḥah of Speyer and with Simḥah's two pupils, Isaac ben Moses of Vienna ("Or Zarua'," i. 88, 218, 220) and Abigdor Cohen of the same city. Isaiah himself probably lived for some time in the Orient. He left a learned son, David, and a daughter, with whose son, Isaiah ben Elijah di Trani, he has often been confounded. He wrote: "Nimmuḳim" or "Nimmuḳe Ḥomesh," a commentary on the Pentateuch, consisting mainly of glosses on Rashi which show him to have been, as Güdemann says, an acute critic rather than a dispassionate exegete. Jerusalem (Yerushalmi) Talmud: The general designation of the Palestinian Talmud as “Talmud Yerushalmi,” or simply as “Yerushalmi,” is precisely analogous to that of the Palestinian Targum. The term originated in the geonic period, when, however, the work received also the more precise designations of “Talmud of Palestine,” “Talmud of the Land of Israel,” “Talmud of the West,” and “Talmud of the Western Lands.” Yerushalmi has not been preserved in its entirety; large portions of it were entirely lost at an early date,while other parts exist only in fragments. Josephus, Antiquities of the Jews : General and historian; born in 37 or 38; died after 100. He passed through the schools of the Pharisees, the Sadducees, and the Essenes in turn. When nineteen years old he attached himself finally to the party of the Pharisees. In his twenty-sixth year he had occasion to journey to Rome in the interests of certain priests who had been sent there in chains by the procurator Felix. Here he obtained the favor of the empress Poppæa. The “Antiquities of the Jews" is the most important of his works, and, indeed, one of the greatest of all antiquity. It comprises twenty books, and is so arranged that it might be placed side by side with the Roman history of Dionysius of Halicarnassus, which likewise consisted of twenty books. It was the purpose of Josephus to glorify the Jewish people, so often misunderstood, in the eyes of the Greco-Roman world. He wrote it in the thirteenth year of Domitian (93) and in the fifty-sixth year of his life. It commences with the creation of the world, and carries the history of the Jews down to the outbreak of the war in 66. In this stupendous work the individual books are preceded by an introduction which briefly indicates their contents; but it is doubtful whether these originated with Josephus. Kara: Joseph ben Simeon (lived from between 1060-70 to between 1130-40), French Bible exegete. His uncle and teacher was Menahem benḤelbo, whom Ḳara often cites in his commentaries, these quotations being almost the only source of knowledge concerning Menahem's exegesis. Ḳara frequented Rashi's house; it is even possible that he was Rashi's pupil. Kiddushin: Name of a treatise in the Mishnah, Tosefta, and the Babylonian and Jerusalem Talmuds; it is devoted chiefly to discussion of the various modes of betrothal and the conditions which must be fulfilled to make a marriage valid. Kook, Rabbi Abraham Isaac: (1865-1935) The first Eastern European (Ashkenazic) chief rabbi of Palestine. His historical role as the Orthodox rabbi who embraced the Zionist pioneers often overshadows his contributions as a philosopher and poet. Rabbi Kook was a deeply religious mystic and a progressive universalist. Leviticus (Vayikra) Rabbah: A book of midrash to Leviticus, in the form of a collection of exclusive sermons or lectures on the themes or texts of that book; and it consists altogether of thirty-seven such homilies, each of which constitutes a separate chapter, or "parashah." This book dates its origin back to the middle of the seventh century. It originated in Palestine, and is composed largely of older works, its redactor having made use of Genesis Rabbah, Pesiḳta de-Rav Kahana, and the Jerusalem Talmud, in addition to other ancient sources. Maimonides: Rabbi Moses Ben Maimon. 1135-1204. Also known by his acronym Rambam. Talmudist and philosopher, Maimonides was the first person to write a systematic code of all Jewish law, the Mishneh Torah. He produced one of the great philosophic statements of Judaism, Guide for the Perplexed. He also published a commentary on the entire Mishnah; served as physician to the sultan of Egypt; wrote numerous books on medicine; and, was a leader in the Jewish community of Cairo. Malbim: Meir Lob Ben Yechiel Michael. Russian rabbi, preacher, and Hebraist(1809-1879). The name "Malbim" is derived from the initials of his name, and became his family name by frequent usage. Malbim was educated in Hebrew and Talmud by his father and by his stepfather (R. Löb of Volochisk). He showed unusual talent from his early childhood, and his works indicate that he had a considerable knowledge of secular sciences. In 1860 Malbim became chief rabbi of Bucharest, Rumania. But he could not agree with the rich German Jews there; they wished to introduce Reform Judaism, and did not shrink even from violence in the pursuit of their aims. By intrigues they succeeded in throwing him into prison, and though he was liberated through the intervention of Sir Moses Montefiore, it was upon the condition that he leave Rumania. Masoretes: The system of critical notes on the external form of the Biblical text. This system of notes represents the literary labors of innumerable scholars, of which the beginning falls probably in pre-Maccabean times and the end reaches to the year 1425. The name "Masorah" occurs in many forms, the etymology, pronunciation, and genetic connection of which are much-mooted points. The term is taken from Ezek. 20:37, and means originally "fetter." The fixation of the text was correctly considered to be in the nature of a fetter upon its exposition. When, in course of time, the Masorah had become a traditional discipline, the term became connected with the verb , "to hand down", and was given the meaning of "tradition." From the statements in Talmudic literature to the effect that there was deposited in the court of the Temple a standard copy of the Bible for the benefit of copyists, and that there were paid correctors of Biblical books among the officers of the Temple (Ket. 106a); from the fact that such a copy is mentioned in the Aristeas Letter (§ 30; comp. Blau, "Studien zum Althebr. Buchwesen," p. 100); from the statements of Philo (preamble to his "Analysis of the Political Constitution of the Jews") and of Josephus ("Contra Ap." i. 8) that the text of Scripture had never been altered; finally, from the fact that there seem to have been no differences of readings between Pharisees and Sadducees, it may be concluded that the Scriptural text, at least as much as then belonged to the canon, was already fixed, at the latest, about 200 B.C.E. and perhaps a century earlier. Megillah: Name of a treatise in the Mishnah and in the Tosefta, as well as in the Babylonian and Jerusalem Talmuds. It is the tenth treatise in the mishnaic order Mo'ed, and includes four chapters, containing thirty-three paragraphs in all. Mekhilta:A commentary on the book of Exodus. There are two versions of this midrash collection. One is Mekhilta de Rabbi Ishmael, the other is Mekhilta de Rabbi Simeon ben Yohai. The former is still studied today, while the latter was used by many medieval Jewish authorities OR:The halakic midrash to Exodus. The name "Mekhilta," which corresponds to the Hebrew "middah", "measure," or "rule", was given to this midrash because the Scriptural comments and explanations of the Law which it contains are based on fixed rules of Scriptural exegesis . Metzudat David: Biblical commentary of the 18th century David Altschuler, who lived in Jaworow, Galicia. Where his Metzudat Zion explains individuals words, Metzudat David elucidates the meaning of the text. 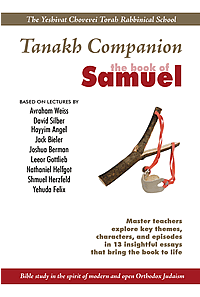 Midrash Shemuel: Midrash Shemuel, a haggadic midrash on the books of Samuel, is quoted for the first time by Rashi in his commentary on I Sam. ii. 30. In his "Ha-Pardes" (ed. Constantinople, p. 24b) Rashi again quotes from this midrash (xvii. 1; ed. Buber, p. 48a), saying that it is entitled, “Et la-'Asot la-Adonai"; it probably derived this name from Ps. cxix. 126, with which it begins. The midrash is entitled also “Agadat Shemu'el”, the stories of Shemuel. The name "Shocher Tov" has been erroneously applied to it (in the editions of Zolkiev, 1800, and Lemberg, 1808 and 1850); the error is due to the fact that in the Venice edition of 1546, the midrash was printed together with the midrash on the Psalms, the title of the latter, "Shocher Tov," being taken to refer to both. Midrash Shoher Tov: This work consists of midrashim (commentaries) to the biblical books Psalms, Proverbs, and Samuel. The publication is provided with annotations by Yitzhak ben Shimshon, who was a native of Prague and son-in-law of Maharal (Rabbi Löw). Among other things, Yitzhak ben Shimshon was the Rabbi in Vienna and Mikulov. He was an esteemed Talmudist and philanthropist. Midrash Tanchuma : Name given to three different collections of Pentateuch haggadot; two are extant, while the third is known only through citations. These midrashim, although bearing the name of R. Tanchuma, must not be regarded as having been written or edited by him. They were so named merely because they consist partly of homilies originating with him (this being indicated by the introductory formula "Thus began R. Tanchuma" or "Thus preached R. Tanchuma") and partly of homilies by haggadic teachers who followed the style of R. Tanchuma. It is possible that R. Tanchuma himself preserved his homilies, and that his collection was used by the editors of the midrash. Mishneh Torah : Work by Maimonides in which the commandments of Biblical Law are divided into fourteen coherent groups. This forms the first complete classification of the Mosaic and rabbinical laws; each group constitutes a book, and each book is subdivided into sections, chapters, and paragraphs. Mo’ed Katan: Treatise in the Mishnah, in the Tosefta, and in the Babylonian and Jerusalem Talmuds. It deals principally with the regulations concerning the semi-feasts, or intermediary festivals, which are termed "mo'ed" and are the days between the first two and the last two days of the feasts of Passover and Sukkot. Netziv: Rabbi Naftali Tzvi Yehudah Berlin. Head of the yeshivah of Volozhin, Russia; (1817-1893). Nidah: A treatise in the Mishnah, Tosefta, and both Talmuds. Niddah is devoted chiefly to the rules of a menstruant woman and a woman in childbirth. NJPS : The Jewish Publication Society of America Version (JPS) of the Jewish Bible was the first Bible translation published by JPS and the first ever translation of the Old Testament into English by a committee of Jews (though there had been earlier solo attempts such as that of Isaac Leeser). The full publication title is The Holy Scriptures According to the Masoretic Text: A New Translation with the Aid of Previous Versions and with Constant Consultation of Jewish Authorities. Numbers (Bamidbar) Rabbah: The Midrash commentary upon Numbers, called in the editio princeps of Constantinople (1512) "Bemidbar Sinai Rabbah," and so cited frequently by Nachmanides and others. It is the latest component of the "Rabbot" collection upon the Pentateuch, and as such was unknown to 'Aruk, Rashi, and Yalḳuṭ. It consists of two parts, which are of different origin and extent. The first portion, sections i.-xiv. (ed. Venice, 1545, parashah "Bemidbar," fol. 135a to 145c; parashah "Naso," fol. 145c to 178b)—almost three-quarters of the whole work—contains a late haggadic commentary upon Num. i.-vii. ; the second part, sections xv.-xxxiii. (fol. 178b to 194d, ed. Venice), reproduces the Midrash Tanchuma from Num. viii. almost word for word. Pesachim: Name of a treatise of the Mishnah and the Tosefta in Babli and Yerushalmi, treating chiefly of the regulations of Passover. R. Zadok HaKohen: Reb Zadok HaKohen of Lublin (1823-1900) was one of the most innovative hasidic thinkers of the second half of the nineteenth century, one of a chain of thinkers that included the "Kotzker Rebbe," among others, all of whom were thoroughly aware of the new intellectual trends sweeping Europe in their time. R. Zadok HaKohen of Lublin describes religious life as a process of growth along a sliding scale in which one integrates ever greater parts of consciousness towards Divine knowledge and unity. Ra’avad: RABaD (abbreviation for Rabbi Abraham ben David) was a French Talmudic commentator; (1125-1198). Son-in-law of Abraham ben Isaac Ab-Bet-Din (RABaD II). The teachers under whose guidance he acquired most of his Talmudic learning were Moses ben Joseph (according to Michael, "Or ha-Chayim," p. 24, the latter was the chief teacher of RABaD, but the manuscript note to which Michael refers reads quite differently in Buber's introduction to "Shibbale ha-Leḳeṭ") and Meshullam ben Jacob of Lunel. RABaD remained in Lunel after completing his studies, and subsequently became one of the rabbinical authorities of that city. He went to Montpellier, where he remained but a short time, and then removed to Nîmes, where he lived for a considerable period. Moses ben Judah ("Temim De'im," p. 6b) refers to the rabbinical school of Nîmes, then under Abraham's direction, as the chief seat of Talmudic learning in Provence. Radak:Rabbi David Kimchi (1160-1235). French grammarian, he was well versed in the whole range of Hebrew literature, and became the most illustrious representative of his name. Later generations applied to him the saying from Avot (3:21), "Without ḳemach (“flour”, the etymon of the name "Ḳimḥi"] [there is] no Torah"; his influence is still felt today. Ralbag: RaLBaG (1288-1344) is the acronym for Rabbi Levi Ben Gershon (also known as Gersonides), French philosopher, exegete, mathematician, and physician. Rambam: Acronym for Rabbi Moses Ben Maimon (1135-1204). See under Maimonides . Ramban, (aka: Nachmanides): Rabbi Moses ben Nachman (1194-1270) Spanish Talmudist, mystic, exegete, and physician. Maimonides believed that four beliefs were the foundations of Judaism: belief in miracles, the belief in creation out of nothing, in the omniscience of God, and in divine providence. Rashbam: (Rabbi Shemuel B. Meir) French exegete (1085-1174); grandson of Rashi on his mother's side, and eldest son of the family. He was a pupil of his grandfather, and was at first an adherent of haggadic interpretation, although he subsequently approached more closely to the school of Menahem b. Ḥelbo. (see Kara) He was one of the first realistic exegetes, and is also frequently mentioned as a tosafist. Rashi :The name is an acronym for Rabbi Shlomo Yitzchaki (1040-1105). French commentator on Bible and Talmud. Acclaimed for his ability to concisely elucidate texts. Responsa Tzitz Eliezer : Rabbi Eliezer Yehuda Waldenberg, born 1917 and known as the Tzitz Eliezer, after his monumental halachic treatise of that name, is a judge on the Supreme Rabbinical Court in Jerusalem, and a leading authority on medical halacha. Ruth Rabbah: A haggadic and homiletic interpretation of the Book of Ruth, which, like that of the four other scrolls ("megillot"), is included in the Midrash Rabbot. This midrash, divided into eight chapters or sections ("parashiyot"), covers the whole text of the Biblical book, interpreting it verse by verse, now in its literal, now in an allegorical, sense. Ritva:Yom-tov ben Abraham Ishbili. Famous Spanish Talmudic commentator of the first half of the fourteenth century. Yom-Ṭov's voluminous works include valuable novellæ on many of the Talmudic treatises, and commentaries on the writings of Alfasi and certain works of Nachmanides. His published novellæ include those on 'Erubin, Ta'anit, Mo'ed Ḳatan, Ketubot, and Baba Metzi'a (Amsterdam, 1729; Prague, 1810), Ta'anit and Mo'ed Ḳatan (Prague, 1811), Chullin (ib. 1734), Giṭṭin (Salonica, 1758), Yebamot (Leghorn, 1787), Shabbat (Salonica, 1806), Yoma (Constantinople, 1754; Berlin, 1860), 'Abodah Zarah (Ofen, 1824), and Rosh ha-Shanah (Königsberg, 1858). Most of the novellæ have been collected under the title Chiddushe ha-Ritva, “Insights from the Ritva”. (Lemberg, 1860-61). Sages : Classic Rabbinic authorities of the Mishnah and the Talmud. Also: Our Sages of Blessed Memory. Hebrew: Chakhameinu Zikhronom Li-Vracha, designated by the acronymn Chazal. Sanhedrin: Name of a treatise of the Mishnah, Tosefta, and both Talmudim.It treats chiefly of courts and their powers, of qualifications for the office of judge, and of legal procedure and criminal law. Seder Olam Rabbah: Earliest post-exilic chronicle preserved in the Hebrew language. In the Babylonian Talmud this chronicle is several times referred to simply as the “Seder 'Olam” and it is quoted as such by the more ancient Biblical commentators, including Rashi. But with the twelfth century it began to be designated as "Seder 'Olam Rabbah," to distinguish it from a later, smaller chronicle, "Seder 'Olam, Zuṭa"; it was first so designated by Abraham ibn Yarḥi ("Ha-Manhig," p. 2a, Berlin, 1855). In its present form the work consists of thirty chapters, each ten chapters forming a section, or "gate." It is a chronological record, extending from Adam to the revolt of Bar Kokhba, in the reign of Hadrian; but the chronicle is complete only up to the time of Alexander the Great; the period from Alexander to Hadrian occupies a very small portion of the work—the end of the thirtieth chapter. It may be concluded, therefore, that originally the "Seder 'Olam" was more extensive, and that it consisted of two parts, the second of which, dealing with the post-Alexandrian period, has been lost, with the exception of a small fragment that was added by the copyists to the first part. Many passages quoted in the Talmud are missing in the present edition of the "Seder 'Olam." Septuagint : The oldest and most important of all the translations of the Penteteuch made by Jews is that called "The Septuagint" ("Interpretatio septuaginta virorum" or "seniorum"). It is a monument of the Greek spoken by the large and important Jewish community of Alexandria; not of classic Greek, nor even of the Hellenistic style affected by Alexandrian writers. According to historian Aristeas (around 200 B.C.E. ), the Pentateuch was translated at the time of Philadelphus, the second Ptolemy (285-247 B.C.E.). The translation was encouraged by the king and welcomed by the Jews of Alexandria. Grätz ("Gesch. der Juden," 3d ed., iii. 615) stands alone in assigning it to the reign of Philometor (181-146 B.C.E.). Whatever share the king may have had in the work, it evidently satisfied a pressing need felt by the Jewish community, among whom a knowledge of Hebrew was rapidly waning before the demands of every-day life. Shabbat : Treatise in the Mishnah, Tosefta, and both Talmuds; devoted chiefly to rules and regulations for the Sabbath. Shulchan Arukh: Literally the “Set Table", the Shulchan Arukh (16 th century) is a written catalogue of halacha, “Jewish law”, composed by Rabbi Joseph Karo. It is considered the most authoritative compilation of Jewish law and custom, and is also known as the Code of Jewish Law. Sifrei Zuta: (“The small Sifre”). This work is a halachic commentary on the book of Numbers. The text of this midrash is only partially preserved in medieval works, while other portions were discovered by Solomon Schechter in his research in the famed Cairo Geniza. It seems to be older than most other midrash, coming from the early 3rd century. Soloveitchik, Rabbi Joseph B., (1903-1993)An American Orthodox rabbi, Talmudist, and modern Jewish Philosopher. As Rosh (Head of) Yeshiva of Rabbi Isaac Elchanan Theological Semianry at Yeshiva University in New York City, “The Rav”, as he came to be known,ordained close to 2,000 rabbis over the course of almost half a century. He advocated a synthesis between Torah scholarship and Western, secular scholarship. Soncino: Soncino is the name of a family based in Northern Italy that were pioneers of Hebrew book printing. In 1483, they published an edition of the Talmud tractate Berachot, the first-ever printed book in Hebrew type. Thereafter, they continued with a string of printed editions of the Hebrew Bible, Talmud, and various rabbinical works until about 1547. The Soncino name was adopted by a contemporary Jewish publisher based in the United Kingdom. It has published translations and commentaries of the Talmud, the Hebrew Bible, and other works. For many years the standard of Jewish publishing. Shir Hashirim Rabbah: Haggadic midrash on the Song of Songs. The sources which it uses directly are Palestinian. Sotah: Treatise in the Mishnah, Tosefta, and Babylonian and Palestinian Talmuds, devoted in the main to an exact definition of the rules of procedure in the case of a wife either actually or supposedly unfaithful (Num. v. 11-31). Talmud: name of two works which have been preserved to posterity as the product of the Palestinian and Babylonian schools during the amoraic period, which extended from the third to the fifth century C.E. One of these compilations is entitled "Talmud Yerushalmi" (Jerusalem Talmud) and the other "Talmud Bavli" (Babylonian Talmud). The Talmuid is a record of rabbinic discussions of Jewish Law, ethics, customs, and stories. It is the fundamental source for rabbinic legislation and case law. The Talmud has two components: the Mishnah, the written compendium of the Oral Law; and the Gemara, a discussion of the Mishnah (the terms Talmud and Gemara are synonomous). The Talmud, including the Gemara, is traditionally also referred to as Shas (an abbreviation of shishah sedarim, the "six orders" of the Mishnah). Tanakh – the Hebrew Bible. From the Hebrew acronym for the three traditional Jewish divisions of the Bible: Torah (the five books of Moses), Nevi`im (the prophets) and Ketuvim (the writings). Targum: Litrally, “translation”. When unmodified, this refers to the Aramaic translation of the Tanakh., However, Targum Sheviim – literally, “Translation of Seventy”, refers to the Greek Septuagint. Targum Yonatan: The official Targum, “translation”to the Prophets. Teraphim: Plural word of unknown derivation used in the Old Testament to denote the primitive Semitic house-gods whose cult had been handed down to historical times from the earlier period of nomadic wanderings. The translation of the term "teraphim" by the Greek versions, as well as its use in the Scriptures, gives an excellent idea of the nature of these symbols. Thus Aquila renders the word by "figures"; the Septuagint in Genesis by "images," in Ezekiel by "carved images," in Zechariah by "oracles," and in Hosea by "manifest objects"
Urim and Thummim (UT): Objects connected with the breastplate of the high priest, and used as a kind of divine oracle. Vilna Gaon: Elijah b. Solomon. Lithuanian Talmudist, cabalist, grammarian, and mathematician; born at Wilna April 23, 1720; died there Oct. 9, 1797. He gave evidence of the possession of extraordinary talents while still a child. At the age of seven he was taught Talmud by Moses Margalit, rabbi of Kaidan and the author of a commentary to the Jerusalem Talmud, and was supposed to know several of the treatises by heart. From the age of ten he continued his studies without the aid of a teacher. When he reached a more mature age Elijah wandered in various parts of Poland and Germany, as was the custom of the Talmudists of the time. He returned to his native town in 1748, having even then acquired considerable renown; for when he was hardly twenty years old many rabbis submitted their halakic difficulties to him for decision. Since Elijah had never studied at any yeshibah, he had this advantage, that his mind was never biased by prejudice or by the perverted methods of study then in vogue. He thus escaped casuistry, his mind remaining open to the plain and simple peshat. Yalkut Shimoni: A broadly planned midrashic thesaurus to the twenty-four books of the Bible, combining all the products of the Midrash, Halakah, and Haggadah, by an unknown author. Yoma: A treatise in the Mishnah, in the Tosefta, and in both Talmudim, treating of the divine service on the Day of Atonement, of the fasting ceremony on that day, and of other regulations pertaining to the occasion. Zohar :The Zohar is a mystical commentary to the five books of the Torah. It is considered to be the most important book of Kabbalah, Jewish mysticism. It first appeared in Spain in the 13th century, and was published by a Jewish writer named Moses de Leon. De Leon himself ascribed this work to a rabbi of the second century, Simeon ben Yochai.